Every year on her birthday I bake a dozen cinnamon scrolls for Blossom. She much prefers these to a cake. This year I've baked the scrolls a day early so she and her DB can feast on them for breakfast tomorrow. ...and as I spread the hot scrolls with her favourite strawberry icing she couldn't resist getting her fingers into the sugary sweetness to 'test' it. 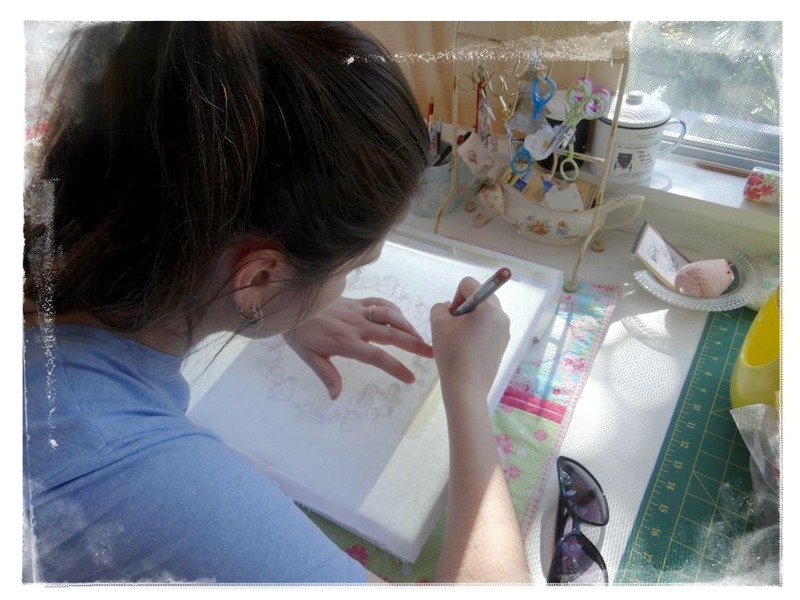 You can see Minki's design here on her blog. 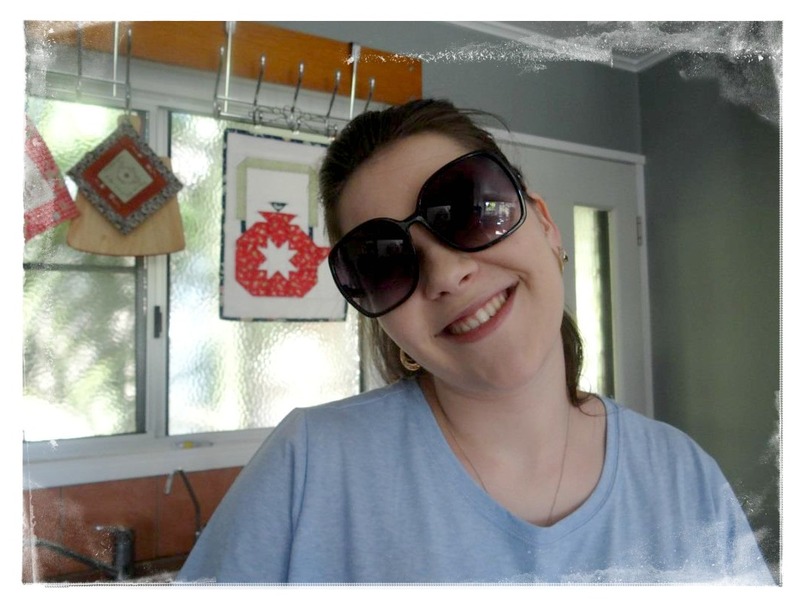 She's created it with her own set of stamps and it's gorgeous! I just love her skill with freestyle machine embroidery and applique. I can't wait to see Blossom's version of Minki's design, and I'll be sure to show you too. Mr E just suggested we drop over to Blossom's in the morning before he goes to work so we can share in her birthday breakfast. I just wonder if there will be any cinnamon scrolls left for us? Her last text to me this evening simply said, "nom nom nom" so I have a feeling she and her DB are enjoying a pre-birthday cinnamon scroll supper instead. Gotta love family traditions that put a smile on your face! Good Morning Jenny! 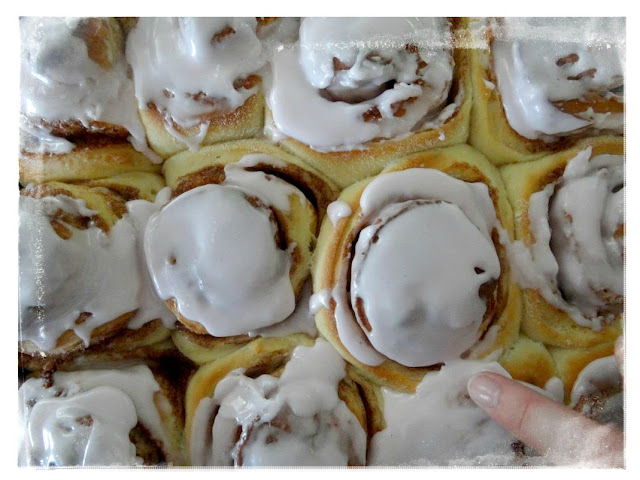 Your cinnamon rolls sure do look delicious! Blossom had the right idea to test the icing...who could resist all of that yumminess! It is really nice reading about your family and traditions. Hope that you all had a special Birthday breakfast and loved every bite! Have a fantastic creative day! Que apetitoso pastel para celebrar su cumpleaños, feliz día. I'm sure if a pan of those showed up at my house, they'd never last until breakfast ... with just me, myself and I eating them. That's 4 each, so not too bad, right? LOL They do look yummy. I look forward to seeing Blossom's finished work. I went to have a look and those are wonderful stamps! I didn't know about Minki, so thanks for the link. good gracious, look at those lovely cinnamons scrolls!! Do you use a bread/yeast dough or a scone mixture? I think my cold would be happy with anything right now, so cinnamon scones it is - for now!! 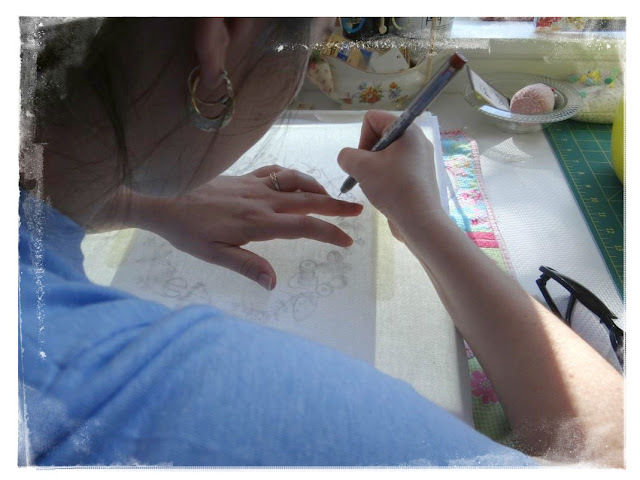 Thak you for sharing Minki's work, I can't wait to see Blossom's work. I use a bread dough mixture, Marian. How wonderful ... I laughed at Blossoms text to you Jenny. She looks so well & is definately blooming. 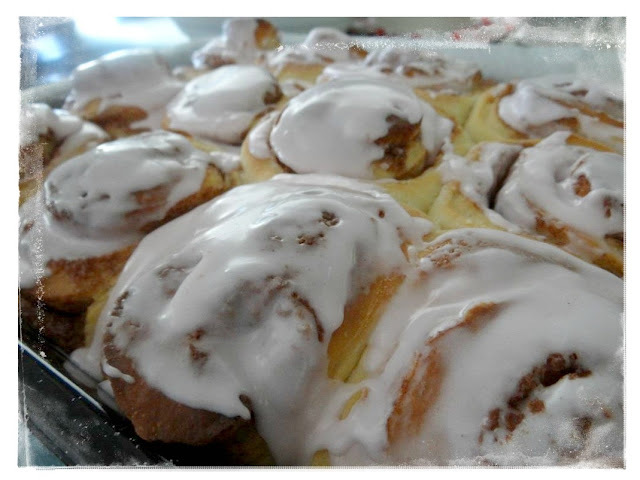 I wish I could reach into my screen & taste test one of your delicious cinnamon scrolls !!! Happy Birthday dear Blossom. Happy belated Birthday to Blossom. 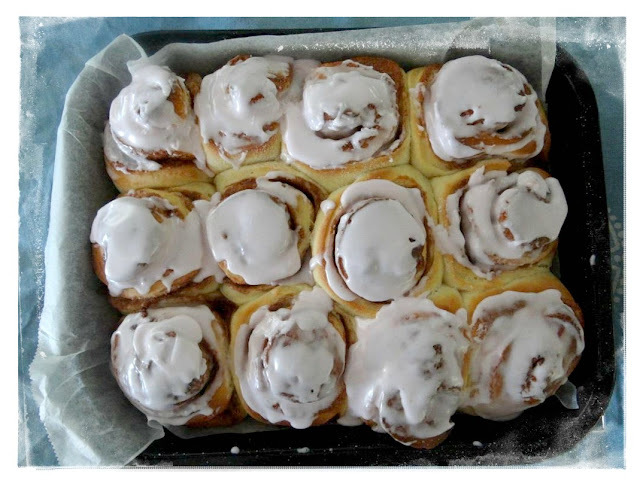 I'm sure your cinnamon rolls taste even better than they look. Strawberry icing on them sounds great.